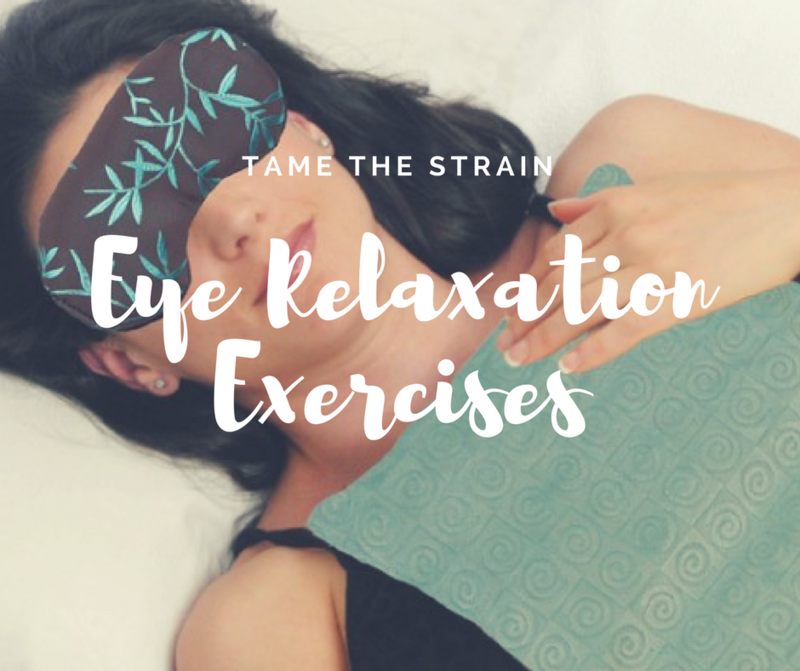 The following eye relaxation exercises help to ease the tension and discomfort that often forms around and behind the eyes as a result of stress. 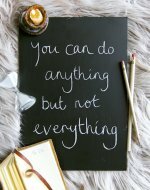 You are doing many positive things to reduce stress through these exercises! A. Bringing mindfulness to where the tension lies in your body. C. Moving your eyes to ease tension. 2. Visualize a square-shaped garden with grass, flowers, and shrubs. 3. Start by focusing your eyes on the upper left corner of the garden. 4. Slowly move your eyes from the upper left corner to the upper right corner of the garden. 5. Pause and take a deep breath. 6. Slowly move your eyes from the upper right corner to the bottom right corner of the garden. 7. Pause and take a deep breath. 8. Slowly move your eyes from the bottom right to the bottom left corner of the garden. 9. Pause and take a deep breath. 10. Slowly move your eyes from the bottom left to the upper left corner of the garden. 11. Pause and take a deep breath. 12. You can repeat this sequence several times and then reverse the direction your eyes move around the garden. 13. Try moving your eyes diagonally across the garden, too. 2. Visualize a soap bubble in the air. 3. Move your eyes clockwise around the perimeter of the bubble. 4. Move your eyes counter-clockwise around the perimeter of the bubble. 5. Continue to alternately move your eyes clockwise and counter-clockwise. This is one of my favorite relaxation techniques! This technique only requires 30 seconds to 1 minute of your time. Close your eyes and place your palms over them - feel the warmth moving into your eyes. Make sure your eyes aren't touching your palms by placing them in the cups of your palms. This is a instant relief to get back to near point work quickly. Do it frequently (every hour or so), especially with computer work. This technique feels wonderful! Best of all, it is easy to do. All you need is a cloth (I prefer microfiber as it can absorb more water), hot water and a comfortable pillow. Test the temperature with the back of your hand to make sure the water is warm but not too hot for your eyes. Lie down comfortably, close your eyes and place the warm towel over your eyes. Relax and breathe slowly. Visualize your eyes releasing any tension you may feel. Once the cloth cools down, squeeze out the water and repeat the steps. Continue the process for about 5 minutes. Let me warn you though, this reduce eye strain technique is very addictive! This method allows you to enjoy two benefits at one time: reduce eye strain and absorb vitamin D.
To avoid turning sunning into sun tanning, practice this technique between 8 and10am. Aaahhhh! Here comes the sun! Keep doing this for 5 minutes. Don’t wear your contact lenses during this sunning exercise. Proper breathing techniques help to alleviate the tension in every part of our bodies, including our eyes. What’s more, our eyes need one-third as much oxygen as our hearts! 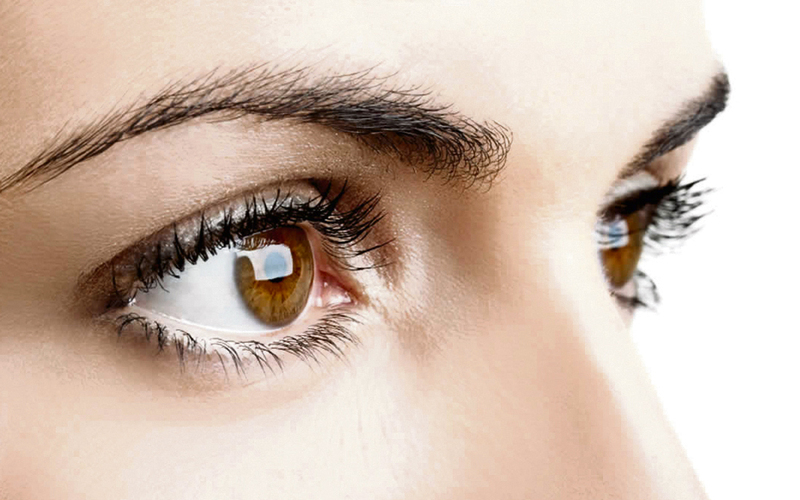 So, knowing how to breathe is essential in maintaining good eye health. Sit comfortably in a chair with your back upright. Close your eyes and block your left nostril. Take a deep breath (4 counts). Hold for 2 counts and exhale slowly (6 counts). As you breathe in and out, imagine your right eye doing the same. Swap nostrils and repeat another 5 cycles. Release both nostrils and repeat another 5 cycles. This exercise helps to ground you and relax your mind, too. 1. Give your eyes a rest on a regular basis from your computer, the TV, and books. 2. Make sure you blink frequently. 4. Try to avoid squinting or otherwise straining to read. Get your vision checked regularly.